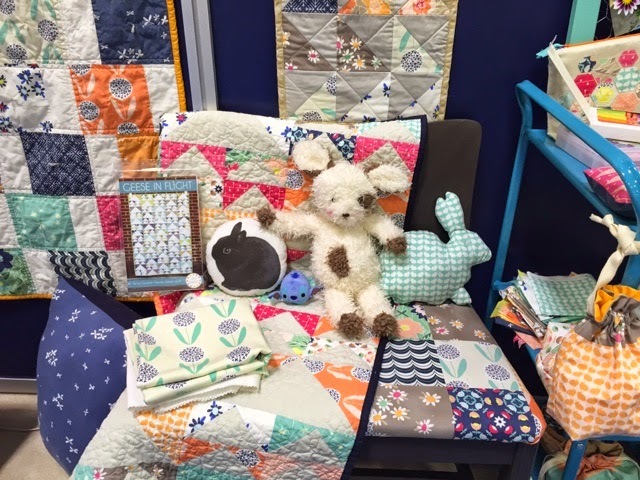 Heavenly Stitch Notes: Wow, what a market! We have had so much fun, Pat, Chappy and myself. Our feet are sore, our heads are spinning and we couldn't be happier. 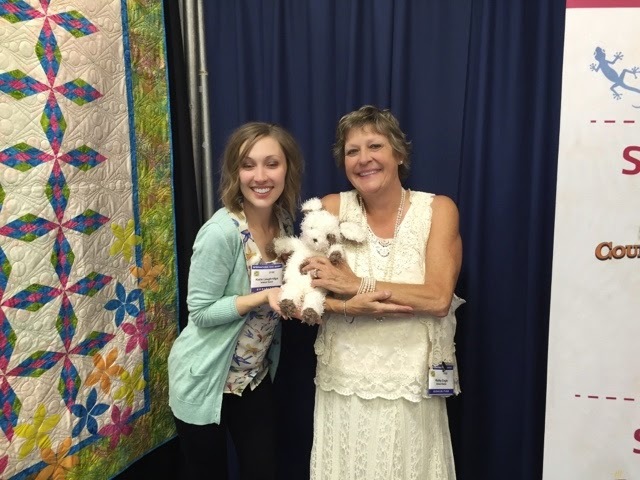 It has been a great Quilt Market. We have so many new things to introduce into Robin Place Fabrics and so much beautiful fabric coming in, it's going to be a very busy year. And I personally have so many new ideas and possibilities. New designs will be coming soon. Chappy spent a lot and I really mean a lot of time socializing. Follow him on Instagram at #chappysadventures. He has been a very busy little pup but for some reason his feet aren't as sore as mine and Pat's. Chappy, Katie and Kathy from our personal favorites, Island Batik! I hope you have enjoyed following us as we attended market. We wanted to share as much as we could. 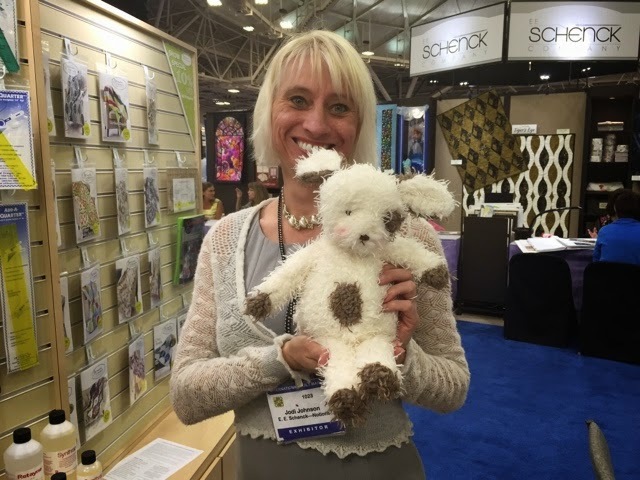 Follow Robin Place Fabrics and Stitches From Heaven on Instagram, Twitter, Facebook and on our Blogs. Each place has a little bit of information that could lead to a winning answer to a special question for a wonderful giveaway from both of us!